Get multiple quotes on international moving to France with the overseas relocation quote form above and receive up to 5 estimates from top international movers, without any obligation. Find valuable information about moving to France and international moving tips as you read this page. Why Move to France With Gateways Moving? Returning customers – Thousands of satisfied customers that return for every move abroad. Helping With Your Move – Gateways has all the International Relocation information you need in one place. The Right Connections – Relocating overseas is easy with our connections in every country. Reputation – Gateways international is member of Top Household Goods Moving Association worldwide. Dedicated to Great Service – Gateways staff is committed to the highest level of service and responsibility to assist you with a smooth relocation and ensure your satisfaction. The French Immigration authorities have traditionally been very protective of their domestic labor force, and tend to put many bureaucratic obstacles in the way of companies wishing to recruit foreign workers. Their attitude however, is changing due to an acute shortage of Information Technology professionals which is adversely affecting the performance of many French companies. New procedures have recently been introduced to make the immigration process faster and easier. Despite these significant improvements, France continues to be one of the most heavily ‘protected’ labor markets in Europe. One of the first major steps towards relocating to France is applying for a French visa. You need to know which type of visa you need and even whether you need one at all (citizens of the European Union are not required to obtain a visa to enter France), and how to improve your chances of being received well at the consulate. Allow at least two months for the visa application to be processed. It is best to apply as soon as you have gathered the required documents, which you should start the moment you decide to apply for the visa and set the process rolling. It is highly recommended not to use a company or an agency to apply for the visa while moving to France. This is because the processes are transparent in itself and don’t require the services of a middle-man. Moreover, the French Government as a policy prefers to interact with people it invites into their country themselves rather than leave it to be taken care of by third parties. If the consulate asks for a particular document, always try to have more than the minimum requirements. For example, if you need three bank statements to prove your financial position, gather five. The French government officials prefer to have more than the required number of documents, and are not too happy when you have too few or just the bare minimum. It helps to gather as much information about the exact number and nature of documents required; this can be done by either asking friends who have already successfully migrated to France or taking tips from others at the Consulate who happen to be a few steps ahead of you in terms of proceeding with the formalities. In other words, avoid getting on their bad side by learning from other people’s mistakes. You must by all means be sure that you save a copy of all documents needed for the visa. Those documents (and probably even more) will be required yet again when you arrive in France and apply for your carte de sejour, or the residence card. Leave one copy of all documents with a family member or friend back home to serve for an exigency. You might be tricked into thinking that the worst is over once you have sailed through the visa application. In reality, you will go through almost an identical procedure once you arrive and apply for your residence card. To pursue a student visa in France, if you are not a citizen of the European Union, you may need a student resident permit. Before registering, ask if your educational institution allows you to obtain a student resident permit. There are three types of student visas available, depending upon the length of studies in France. A Schengen visa is for a stay up to 3 months, the temporary long stay visa is for 3 to 6 months a one year-visa allows you to stay over 6 months. Some of the documents that are required are a valid passport, proof of residence in the current country as well as documents pertaining to education. The general long-stay visa requirements in France can have a variety of extra requirements, depending on the exact nature of your stay in France. A personal appearance is required for long-stay visas. Some of the documents that are required are a valid passport, proof of residence in the current country as well as documents pertaining to financial standing like letters of banks or other guarantors, proof of non-criminal record, medical insurance, etc. A work permit is the most difficult type of visa to obtain in order to enter France. The foreign worker must obtain a contract draft from a French or a foreign company operating in France and the employer in France must file an application with the appropriate administration for approval before a visa can be issued by a consulate of France. Important documents are similar to those of the long stay visa except for the fact that the letter of employment is an additional requirement here. When moving your household items to France, after your visa and other formalities have been secured, there are a few items that are restricted. For students holding valid student visas, there is no restriction on import of items that they require for studies like gadgets or household appliances. For other visa categories, personal effects can be brought along as long as they have been owned by you since at least 6 months before relocating to France and provided they are not sold while you are staying there. It is best to avoid public holidays when choosing a date to ship. Also month ends and beginnings are also best avoided because of heavy general shipping volume. It also helps to plan your move well in advance and make arrangements with the shipping agency you intend to employ. As for entrusting your household goods and other belongings while shipping to France, there are a wide range of operators that you can choose from. Use the form at the top of this page to get a quote from up to 5 international moving companies. This way you will ensure that your transit into the country is absolutely smooth and hassle free. Republique Francaise, otherwise known as France, is in Western Europe, bordering the Bay of Biscay and the English Channel, lying between Belgium and Spain to the southeast of the UK and bordering the Mediterranean Sea, between Italy and Spain. It shares its borders with Andorra, Belgium, Germany, Italy, Luxembourg, Monaco, Spain and Switzerland. View Larger MapIn the Alps near the Italian and Swiss borders lies Western Europe’s highest point – Mont Blanc. The thickly forested Vosges Mountains are in the north-east, while the Pyrenees mountain ranges are along the Spanish border. Excluding the northern-most extreme of France, the country may be described as four river basins and a plateau. 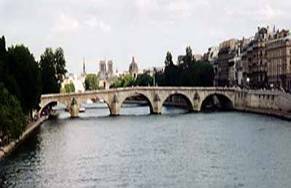 Three of the streams flow west namely, the Seine into the English Channel, the Loire into the Atlantic, and the Garonne into the Bay of Biscay, while the Rhone flows south into the Mediterranean. In the Mediterranean, about 115 miles or 185 kilometers east-southeast of Nice, is the island of Corsica which is also part of the France. The French Republic comprises of Metropolitan France which is continental France and the island of Corsica put together, along with 4 Overseas Departments which are Guadeloupe, Guyana, Martinique and Reunion, each equally making up one region. As per the law that was passed in the year 1982, 4 Overseas Territories namely Wallis and Fortuna Isles, New Caledonia and Dependencies, French Polynesia, and the French Southern and Antarctic Territories have had special status, as was the case with 2 Autonomous Regions which are Mayotte and Saint-Pierre-and-Miquelon. The total area of France is 551,000 square kilometers and has a 3,120 kilometer long coastline. The population is just below 60,000,000. There are 11 Public Holidays in France. These are Labour Day (Fete du Travail), World War II Victory Day (Fete de la Victoire 1945) and Ascension Day (Ascension catholique) in May, Whit Sunday (Pentecote) in June, Bastille Day (Fete nationale) on 14th July, Assumption of the Blessed Virgin Mary (Assomption) in August, All Saints’ Day (Toussaint) and Armistice Day (Armistice 1918) in November apart from the regular New Year, Christmas and Eastr holidays. On these days most Government Departments, banks, shops etc. remain closed. So do most stores and businesses, but a majority of museums, monuments, and restaurants remain open, or only close on certain holidays. Information and recommendations can be attained from the local hotel concierge or tourist office for else from the public information hotline. The largest city which also is the capital of France is Paris. This city has an entire history of being raided and pillaged but its new face today shows little reflection of that traumatic past. Now it is one of the biggest tourist destinations of the world with so many sights you simply have to see before you leave; a number of high profile monuments and buildings, picturesque locales and not to forget a glimpse of the Mona Lisa and a scrumptious Parisian lunch. 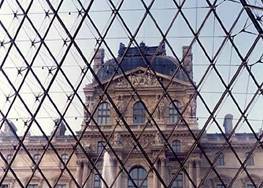 It is a city rich in art and theatre, known for The Eiffel Tower and Notre Dame, the Champs Elyesee, the Seine and the Canal St-Martin, of nightclubs and the Moulin Rouge; there never has been a dull moment in the historic turn of events in France. Other important cities here are Marseille, Lyon, Toulouse, Nice, Nantes, Strasbourg and Bordeaux. France joined the EU in 1957. Being one of the ‘four freedoms’ established by European Union legislation as per which the free movement of citizens within the Union (the other three are free movement of goods, services and capital) is permitted implies that anyone who is a citizen of any one of the Member States has the right to take up residence in another. Starting from the year 2002, the euro (€) replaced the national currency (as was with all the 12 countries within the European Union) of the Franc in France. The terrain in France is mostly flat plains or gently rolling hills in north and west with the remainder being mountainous, especially the Pyrenees in south, the Alps in east. France has the benefit of a temperate, rather agreeable climate which ranges between generally cool winters and mild summers, but this varies to become mild winters and hot summers along the Mediterranean and also comes in the path of occasional strong, cold, dry, north-to-northwesterly wind known as mistral. Mediterranean climate with mild winters and very hot summers in the south of France. It is in the Central European Standard Time (CET) zone which is one hour ahead of GMT and from the end of March until the end of October, moves to GMT+2. While the national language of France is French, most French people who work in the tourism industry and in related fields speak English and other foreign languages. 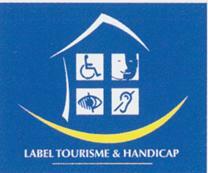 One of the praise worthy initiatives of the French Ministry of Tourism, keen to raise awareness of the needs of disabled people when traveling, is a campaign which is proving to be of invaluable help. The symbol displayed in airports and other public places indicate meeting points where help is available. You’re welcome to read more on Gateways International Moving website about relocations to other major European countries such as: Belgium, Germany, England, Spain, Netherlands, Italy, Ireland, Sweden, Norway, Portugal and many more..